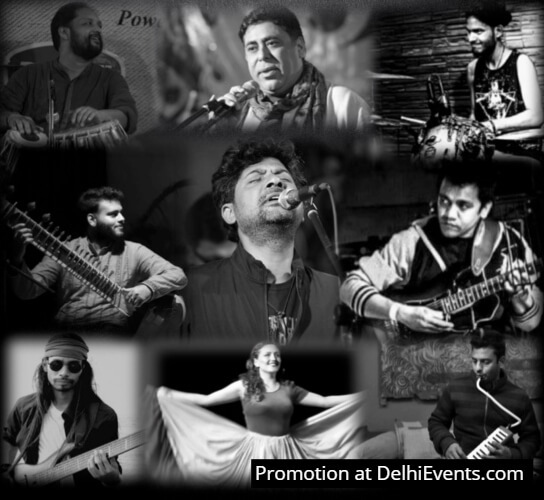 Event Description : JAMGARH: A collaborative concert tour by the Terra Rosa Gypsies. The event includes performances by the Terra Rosa Gypsies; Rock & Blues legend Bernie Marsden; Spanish Flamenco by Las Tablas; poetry by Bollywood lyricist & poet, Shellee; and performances by danseuse from Colombia. The music festival will be featuring over 20 highly acclaimed International and Indian artists. All in one evening! The collaborative projects of the Terra Rosa Gypsies – first with Bernie Marsden and then at the music festival in Ramgarh - now come together as Jamgarh Music Festival Concert Tour, a live continuance of a musical journey blending true rock, blues and Indian fusion with Spanish and Latin dance rhythms.